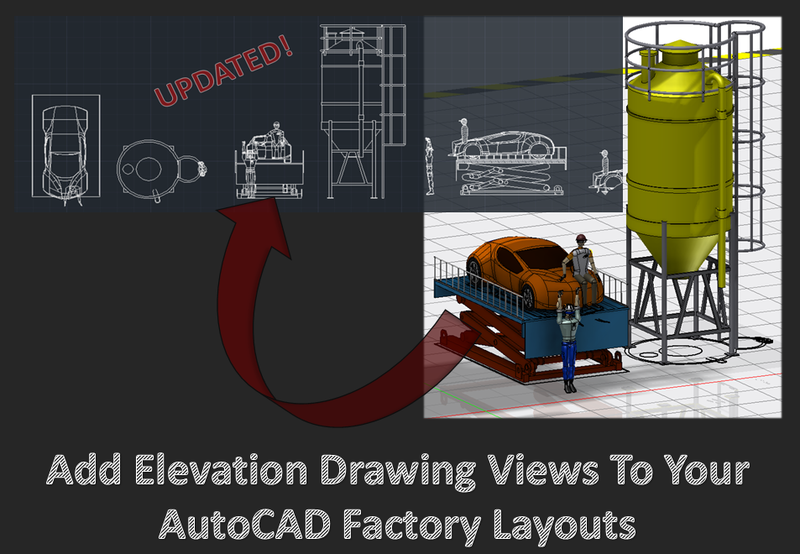 Its Factory Design Suite training time again for me, and for my delegates and all you lovely lot I thought I’d put together some quick step-by-step instructions for creating elevations of your factory layouts in AutoCAD. Of course by default an AutoCAD layout in Factory Design Suite will be plan (top) view only. So we need to exploit Inventor’s skill with projected , section and detail views to create any additional drawing views we need, and then we can add these using X-Refs to the existing synced AutoCAD plan layout as required. Easy. 1) Create your Inventor layout. Inserting casual poseable human models is optional. 2) Hit the ‘Sync AutoCAD’ button to create your AutoCAD plan view layout. 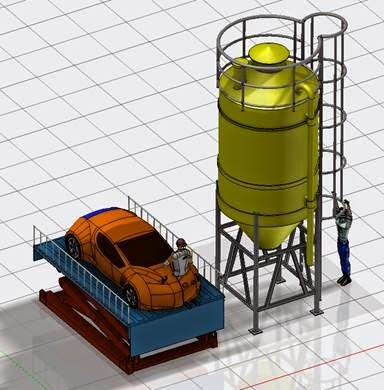 3) Create a new Inventor .dwg drawing. 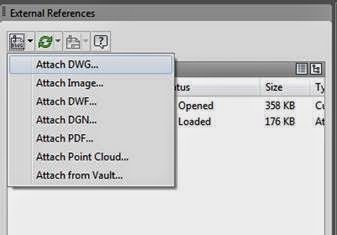 Note: it must be a .dwg not an .idw drawing, or you won’t be able to open it in AutoCAD later on. And if you are still using an .idw template in Inventor, why? Go stand in the corner for 5 minutes to think about what you’ve done. 4) Here’s my Inventor drawing, with a projected, section and detail view. 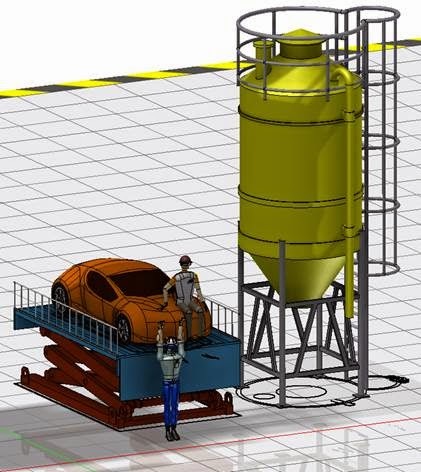 Don’t worry about dimensioning or annotating yet, as these won’t come through into AutoCAD anyway. Also the view position does not matter a great deal, as we can reposition the views later in AutoCAD. 5) Save your Inventor drawing. It makes sense from a file management point of view to give it a logical name to link it to the master drawing – in this case I’ve called it Blog Layout – Elevations. 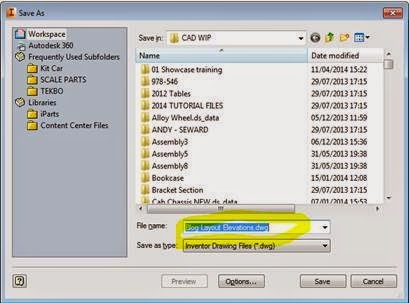 6) Close the Inventor drawing. 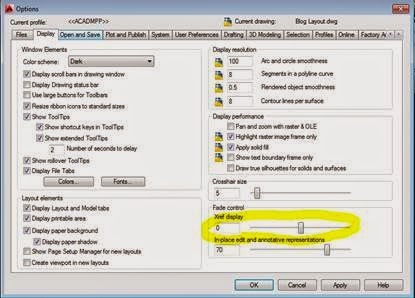 7) Open the same drawing in AutoCAD. 8) Go to ‘Insert’. You should see all the Inventor views you created listed as blocks ready for insertion into the model space of the dwg. Insert all the views into the drawing model space as blocks. 9) Here’s my model space after insertion…..
10) Then go to your main AutoCAD (Synced) Factory Layout drawing, and add the elevations drawing we just created as an X-REF. (Type ‘XREF’ command and hit ‘Attach DWG’). 11) Here’s mine. Just a small problem – the XREF is currently showing as slightly faded. 12) That’s solvable with a quick options tweak as shown here (type ‘Options’ to bring up the options dialogue). 14) And what if we want to make a change to our layout? Perhaps like this change here? 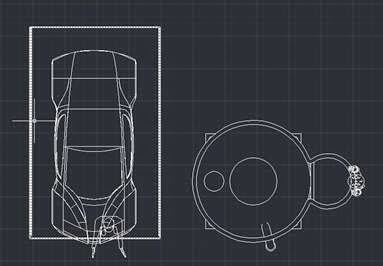 Ensure you have opened the Inventor drawing, so that it can update automatically, then save it, and open the AutoCAD main layout drawing. Type XREF and hit ‘Reload all references’. 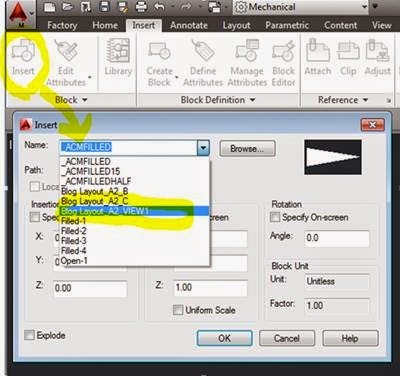 16) Your AutoCAD drawing including elevations will update, and you’re good to go! Note: This X-ref will now appear as part of your dwg overlay (pasted to the floor) in your 3D Inventor Factory layout model. Of course we don’t really want these extra views to display, so the best way around this that I can find is to open the sub-assembly containing these extra linked dwg lines, and suppress the linked dwg overlay. This works fine for me, and I can then sync back and forth between AutoCAD to my heart’s content.